President-elect Donald Trump has packed his planned cabinet with nominees who dispute the science of global warming and oppose policies intended to combat climate change. Trump has also signaled he will pull the United States out of the recent Paris climate agreement. In an interview with the New York Times, Brown said the election of Trump is a setback for the climate movement, but the setback will be fleeting. 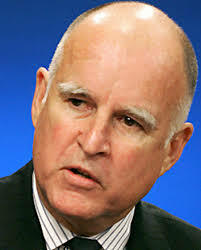 Brown also said, irrespective of what happens in Washington, California can make a significant contribution to the cause of dealing with climate change. “I wouldn’t underestimate California’s resolve if everything moves in this extreme climate denial direction. Yes, we will take action,” Brown said. California has already played a leadership role in the international battle against climate change. Brown spearheaded the Under 2 MOU initiative, which was joined by state, local and regional governments from 33 countries and more than 160 jurisdictions representing a population of more than 1 billion people. Those government agencies signed onto the goals of limiting global warming to less than 2 degrees Celsius and reducing greenhouse gases 80 to 95 percent below 1990 levels by 2050. Domestically, the California Legislature recently mandated a target of reducing carbon emissions to 40 percent below 1990 levels by 2030. California officials are also considering expanding their international cooperation on cap-and-trade policies. California’s cap-and-trade program is already linked with one in Quebec, and state officials have had discussions with Mexico and China about, too, joining forces. Business leaders, though, say California’s far-reaching environmental regulations put the state at a disadvantage, especially as conservatives elsewhere are rolling back climate policies. “If the other states pursue no-climate-change policies and we continue to go it on our own with our climate change policies, then we would be at a competitive disadvantage for either relocating companies or growing companies here, particularly manufacturing factories,” said Bob Lapsley, the president of the California Business Roundtable. We should all take Calexit very seriously. We should all pick up a history book and read about the Civil War, beginning with The strife in the Border States before the actual conflict began. While a majority of the voters in California might vote to secede a substantial number of Californians would be against it. Many of those people are armed and might very well put up resistance, thus creating a civil war within our own borders. Remember that the state of West Virginia was created when the people in that region refused to secede from the Union and it is very likely that California itself will fracture along conservative and liberal lines possibly creating more new states A substantial number of the people that would be against it can probably be found in the public safety and National Guard ranks which means that those organizations would probably not carry out the orders of a secessionist government in Sacramento. Never in my lifetime did I think I would use the phrase “secessionist rebel” to apply to another California, but as the Chinese say “may you live in interesting times” and we certainly are. Suggest all google the ‘2013 State of the Valley Conference’ and listen to Paul Saffo’s keynote speech where he is promoting Silicon Valley to become a city-state with UN representation. Governor Brown and leaders in the State Legislature are enacting the first step for California to become a nation-state with UN representation. The Calexit issue is big in the Silicon Valley globalist elite world. And so there will be big time promotion to have California secede from the United States of America! Take it seriously! If every person were gone, we would have climate change, ask the Dinosaurs. A climate change tax is a boondoggle for more travel and BS meetings. As a Californian I will oppose any leadership that wants to unilaterally tax me to fund global activities. I believe that the United States is represented at the federal level. If Californian leadership (as a rouge nation) doesn’t march to beat of the Federal Government we Californians will be penalized. A Brown out is overdue as well as many of the ridiculous programs we waste general benefit monies on. Special programs will always have none profits get their funding. Certainly that funding model will have to change too, no more 95% for salaries and only 5% to the benefit. Yes it can be that ridiculous, not always but allowed. As a naturalized citizen, I pledge allegiance to the United States of America. Sorry, but others have already tried and the state supreme court has ruled current pensions cannot be altered. Public law 104-95, passed by Congress prohibits states from enacting “source” taxes on pensions when the retiree lives in a state other than where the pension was earned. So… unless you are going to jump on the secession bandwagon I don’t think you are going to be doing anything except paying more taxes to keep the state afloat. Do you like fresh produce and purchase it at a reasonable price? Why not hold farms that hire migrant workers and see what happens. If climate change is an agenda to you, then there really is no reason to argue with you on that point.